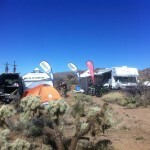 The 2013 edition of the 24hrs in the Old Pueblo was my 4th start of a 24hr solo. I had completed in the previous years edition and ended up 3rd there and my goal was to just get through without stopping for any significant time and have a good time. I easily accomplished that goal. My last race was in Oct 2012 at the last edition of the 24hrs of Moab. 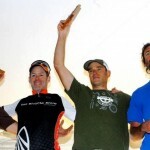 I placed 2nd behind 24hrs national champ Josh (Toast) Tostado and was my hardest earned result in 12 years of racing MTB. Going in this years Old Pueblo, I was nervous and anxious. My goal was 18 laps and get one step higher on the podium. 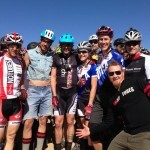 This was not going to be an easy task with the likes of Tinker Juarez, David Munoz, Brian Bennent, Taylor Lideen, and good friends Jonathan Davis (check out Jonathan’s race report) and Brian Sells. 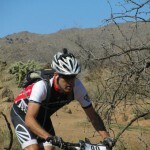 All experienced endurance MTB racers and strong riders over all. There were a number of other people that I didn’t know could also reach the podium. there must have been 10-15 people that were capable of challenging the front of the field. The course goes between our camp. This is one event I look forward to all year long. The folks at EpicRides put on a great show. The race is well organized and ran. 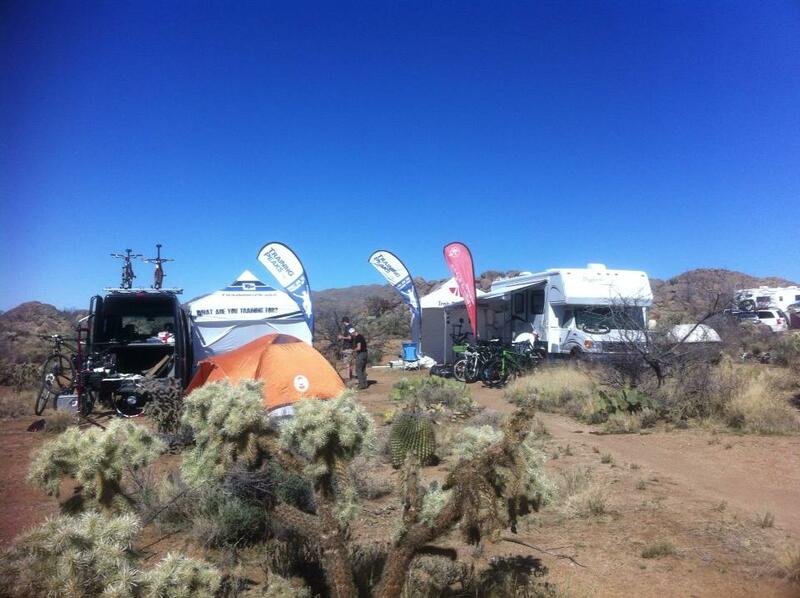 Road tripping and camping with friends in the desert for a few days is the highlight before the race itself. 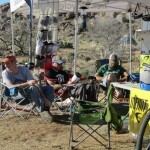 Hangout out talking bikes, racing and pre-riding the course is what I look forward to the most. The race begins with a Le Mans start, and this is the most nerve racking part of the race. I was at the front, and 800 people behind me that are much faster runners. 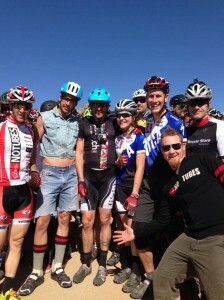 People are pushing and shoving as you run in carbon sole shoes in sand, ruts and rocks. You are luckily to survive this part. I feel like I’m home free once I get to my bike. The first couple of laps were fast, and I came through where I thought I would, 1:05, and the 5th solo. Kept about the same pace for the next two laps, times were a little slow, then I finally settled in to my zone 2. For the remaining laps, I didn’t pay much attention to what was going on around me in terms of other racers. I lost track of time and how many laps I had completed. I was just riding. It’s a long race, and I let the top guys battle it out. I figured let them beat each other up, someone will eventually crack. That happend. Tinker had some physical issues, rumor is he lost sight in one eye. Late in the race I battled with Brian Bennet, also rumored to have a sight issue. We were 1 min apart on a couple of laps trying to hold 2nd place and I was giving everything after 20 hours to get rid of him. He finally stopped racing, due the sight issue, I presume. After 16 laps I had enough lead above 3rd and 4th place that all I had to do is complete the laps in a reasonable time. I limped around at sub 1:30 laps, and those were very painful laps. my back was hurting, my feet were shooting pains up my leg with each pedal stroke. There was no way I was catching Jon, he finished 19 laps at almost the same time I finished 18laps. 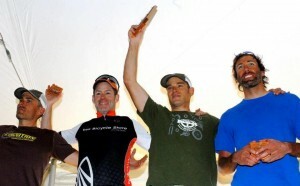 I don’t recall ever being on the podium with friends. Some how we ended up taking the 1st, 2nd and 4th spot. There are a lot of people that I need to thanks for helping with this race. First off, my family earns a huge thank you for the support they give me in racing my bike. They fully support me in my training and racing and without their support there is no way I could accomplish great results. Racing and training takes time away from the family, but they are supportive in my goals. I spent the last three months training harder then I have ever trained. I wouldn’t have been able to train as hard as I did without the help from Kelli at Apex Nutrtion. Kelli guided me in my recovery meals, daily and training fuel. Not only was I fueled properly I lost 5lbs. Of course all the usual suspects deserve some recognition Trek for making some sick bikes, Trek Bicycle Store Boulder for getting my bikes ready for battle, Infinit Nutrition for suppling our team with fuel for the entire race, Maxxis Ikon tires, Ergon for saddle and grips for a comfy ride, ProGold Lubricants, and a rock star support team. My support team consisted of great friend Alan Smith and Sam Blumquist. Alan helped me last year. Doing a 24hr solo and in a race like Old Pueblo, solo racers need support. Alan stayed up all night long and greeted me each lap. 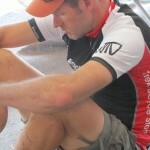 Alan kept me fed and kept me up to date on my place and the racers around me and provide much needed motivation. Thank you Alan! 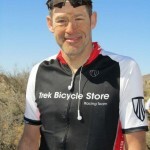 Sam Blomquist provided mechanical support, and luckily I only needed a chain cleaning a couple of times. ProGold was a perfect lube for this course. Far and Custom Blends, along with some solid foods like Honey Stinger Bars, 1/4- 1/2 Bagel with Almond butter and jelly. 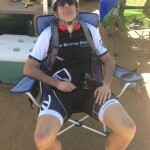 I’ve had a fuel test from the Boulder of Sports Medicine and learned I’m a Carb burner. I used a 70oz CamelBak that contained 6 scoops of Infinit and enough water for two laps. I used two packs and would alternate each lap. Alan would have the fresh pack ready for me every other lap. Each pack consisted of about 900cal of fuel which lasted between 2.5 and 3hrs. 300 cal an hour, plus what I ate during pits. 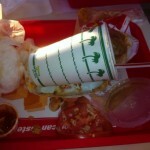 I ate about 800 cal per lap. The last few laps my power was still at level 2, but my heart rate was in active recovery (zone 1). I took a much needed break from training, a total of 15 days off the bike. I’m feeling good and motivated to get back into it. I’m now getting ready for the regular race season, with many 4-6 hour races, a couple of 100 mile races, and the 6-day Breck Epic. It’s going to be a great season. Thanks for reading. Dont for get to watch the video our team put together. Course goes through our camp.